When a child feels overly anxious, it can interfere with his or her mood, concentration, and decision-making abilities. Often times, children with anxiety become unengaged in the classroom, which leads to poor achievement relative to their potential. “The negative self-image that ensues contributes to poor motivation to study and participate in class and causes more social and academic difficulties, continuing as a negative perpetual cycle,” says Sutter Medical Center. To help stop the cycle, parents can create strategies to help their children as they adjust to being back at school. Starting a day on a positive note sets the tone for the rest of the day, and the effort actually begins the night before. Ensure your child is getting enough sleep, which reduces irritability and increases his or her ability to handle stress. An alarm clock often uses a harsh sound, so consider allowing your child to use music, such as a favorite song, to wake up to. Instead of rushing out to the door in a chaotic manner, get up with enough time so that everyone is calmly and smoothly heading from the house to the car or bus stop. Eating breakfast together is also a good idea. You and your child can talk about what the day will entail and what he or she is looking forward to most. Ensure the meal is nutritious. A poor breakfast can exacerbate anxiety symptoms. During the summer, families stay busy with camps and vacations, and some kids lose touch. After the school year begins, arrange a few play dates between your child and his or her friends. “Feeling connected to their school friends can help alleviate some social concerns that your children might have about the new year,” says Oprah.com. To help your child feel continue to feel excited about school, start a new tradition. You can throw a party, have a weekly game night, or enjoy an educational weekend trip. Whatever you choose, your child will look forward to it every year one school has started. While society seems to believe that being busy equals being happy, staying constantly busy is an unhealthy way to cope with life’s challenges. People need time to relax and unwind. Also, too many after-school activities can equate to less time for homework and family time, so carefully choose extracurricular programs. Create an achievement tree for your child. On a poster board, draw a tree with many branches and create leaves on strips of green paper. When your child accomplishes something he or she is proud of, have your child write it on a leaf and tape it to the tree. The accomplishment can be having a good soccer practice, solving a math equation, or making a new friend. By the end of the school year, the tree will be lush and full of accomplishments. If you haven’t already, remove clutter from your kid’s desk at home. Create a simple filing system, utilize drawer organizers, and use color-coding for different subjects. Design a creative monthly calendar where your child can easily see upcoming assignments, group projects, and extracurricular activities. Also, decorate the area to be fun and enticing. “With a clean slate and an inviting desk area, homework will seem like less of a chore,” says The Rolla Daily News. Always keep a supportive, nonjudgmental open line of communication between you and your child. When your child is feeling stressed, down, or angry, he or she will need someone to talk to. Also, ensure your child is aware of healthy coping mechanisms. Tell your child that using substances is never the right answer to cope with anxiety, and discuss the dangers of addiction. 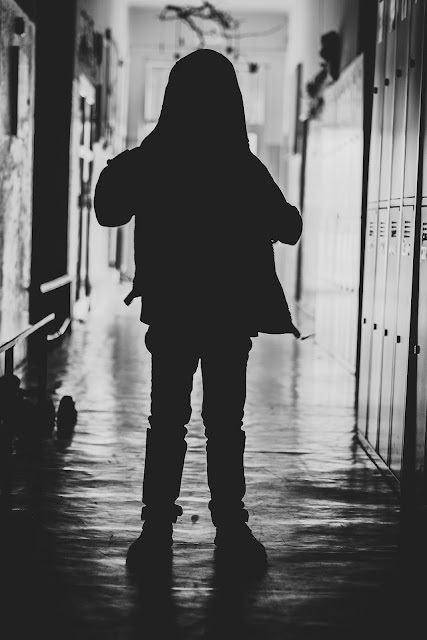 While all children feel some level of anxiety after school has started, children or teenagers with anxiety disorder experience the extreme ends of these feelings. The pressure of school and social challenges can seem overwhelming. To help ease these feelings, parents can come up with tactics to help their child every step of the way. By doing so, you ensure your child has a comfortable and memorable school year.